Different countries have different safety standards, but most of them revolve around a similar set of tests: front impact, side impact, offset impact, rollover... the usual. But Sweden has its own test. It's called the Moose Test (or the Elk Test), and it's unique to Scandinavia: a car has to be able to avoid a theoretical antlered mammal on the road while traveling at 43.5 miles per hour and return to its previous course without flipping over. The Jeep Grand Cherokee ran afoul of the uniquely Nordic maneuver a couple of years ago, but even more surprising is the way the Porsche Macan has reacted. 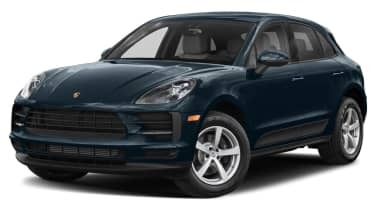 Under testing by Sweden's Teknikens Värld, Porsche's downsized crossover – specifically the Macan S Diesel, for what it's worth – didn't flip over, but it skidded off course. In real-world conditions, it follows, the vehicle could run off the road or into oncoming traffic. The testers ran the test several times, and even removed excess weight from the vehicle, and each time it reacted the same way. In response, Porsche has explained that the behavior is the result of its Active Rollover Protection system kicking in. When the system detects that the vehicle could drastically oversteer, flip over or lose its tire, it momentarily applies the brake on the front outside wheel, allowing the vehicle to shed the cornering forces without losing it completely. The bottom line, though, is that the chassis clearly wouldn't be able to handle the situation without the electronic intervention, which may not be that surprising for a top-heavy crossover, but we'd have expected better of a company like Porsche.